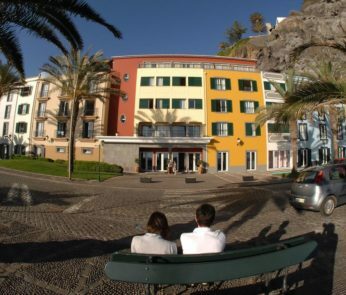 Hotel do Carmo is 3 stars hotel right in Funchal’s city center and it’s a very good example of late nineteen sixties interior design, which confers it an identity and style of its own. This hotel is a very good example of late nineteen sixties interior design, which confers it an identity and style of its own. Hotel do Carmo has a Restaurant were breakfast and other meals are served. The Bar on the reception floor has a nice terrace, Billiards and a television where clients can watch Sports TV channels. Free Wi-Fi is available in all areas of the Hotel. On the last floor there’s an outdoor swimming pool with a wonderful view over the bay and the surrounding mountains.